The gold price appreciated 0.60% since Wednesday's trading session. 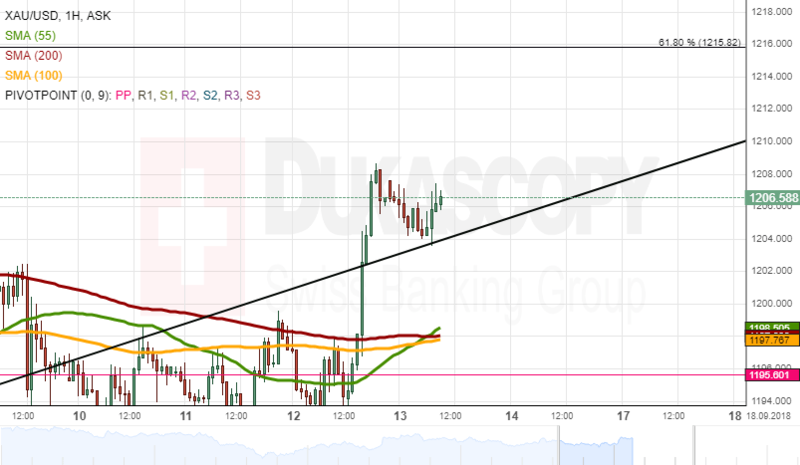 The yellow metal fit back into the medium ascending pattern during the previous session. The rate passed all technical indicators on Wednesday session. In regards to the near future, the rate will move upwards to the 61.80% Fibonacci retracement level or it will reveal reference points to draw a new pattern. However, gold may pass through the medium channel line to retrace back to the 1,200.00 mark. The rate has no support level to thwart such a move.